Nine Actors & Actresses for Various Ages for Play "Crossed Lines"
Synopsis: Adrian is on the edge, literally, as he summons up the courage to end it all. Joel is ready to fly off it in a final moment of exhilaration. Can these two strangers change each other's lives in a chance meeting? 'On the Edge' is a play about two men at a pivotal moment as they grapple with the notion of responsibility and the value of their lives. 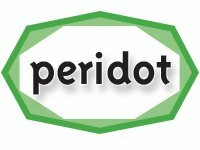 Peridot Theatre is a not-for-profit theatre company. Auditions held 5th of February at 7.00pm. Rehearsals by agreement with director.